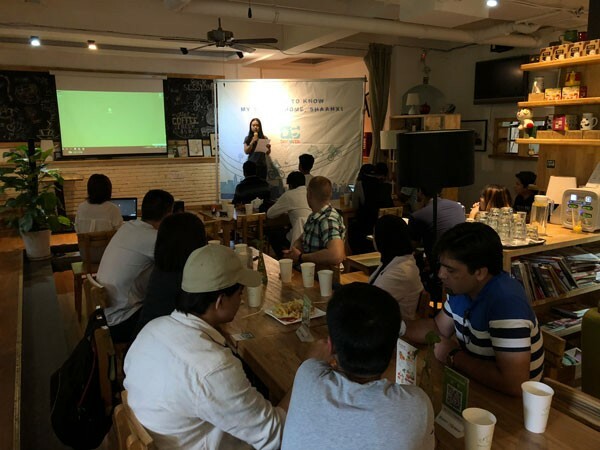 The fourth sharing session of “Travel to Know My Second Home, The Starting Point of The Silk Road, Shaanxi” was held at Swallow Café. About 40 international students attended the session and 6 of them shared their travel with DiscoverShaanxi. Uzair from Pakistan was the first one to share his experience at the Yellow Emperor Sacrificing Ceremony. 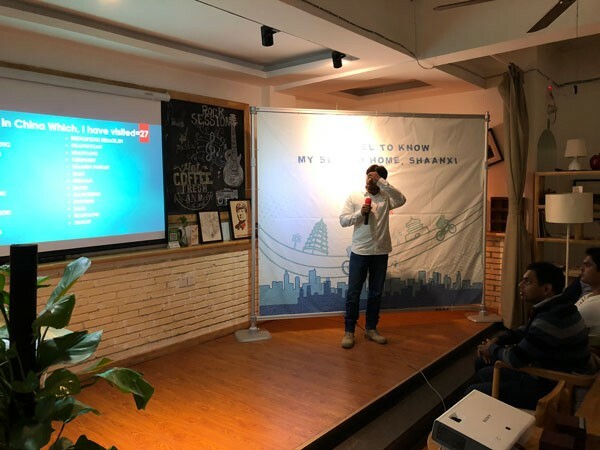 Uzair has been in Xi’an for more than 2 years, he has also visited 27 cities in China which includes Weinan, Tongchuan, Yan’an and Baoji in Shaanxi province. It was the first time for Uzair to participating in a traditional ceremony in China and he thinks that it was a great opportunity. “It was a great opportunity for young people like me to learn more about the local culture and history.” Uzair said that through the sacrificing ceremony he understood the respect for ancestors and the inheritance of tradition of Chinese nation.